[44% OFF] 2019 Lace Up Leaf Print String Bikini Set In FLORAL | ZAFUL .. ABSOLUTELY LOVE THIS! Great quality, exactly like the picture, the pattern is gorgeous!!! Did not like at all. Very small and so many strings :( loved my other suits I got from zaful though! 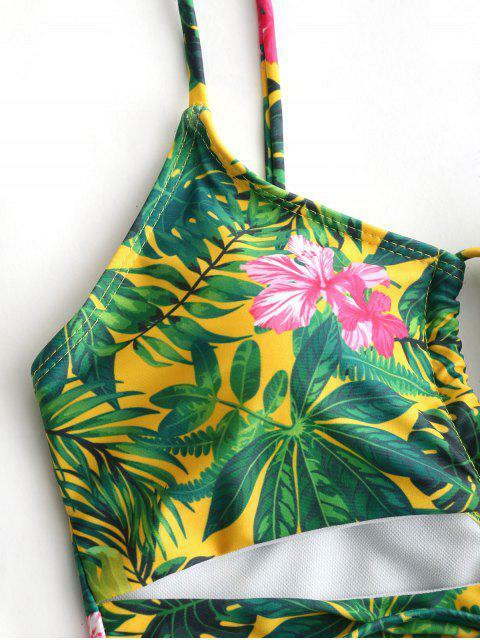 Bright-colored and cute way, all over leaf and floral print, the two piece bikini swimwear feature a lace up detail in the front with removable padded cup. Tie side swim bottoms in a low waisted detail.